Petro Packaging manufactures clear seamless packaging tubes and caps in various sizes that are used for the production and packaging of oil sticks for painting. Experienced artists are moving away from the old method of paint brushes and are now using hand-crafted oil sticks – same texture as oil paint but with the control of using a pastel or crayon. Our tubes are first used as a mold to form the shape of the oil sticks. 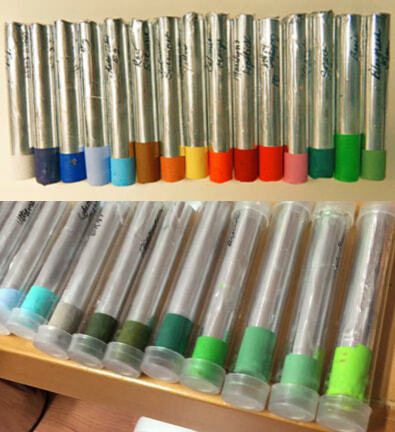 Then after they are formed, the sticks are then placed in a new clear plastic tube with natural slip-on caps at each end. The tubes keep the oil sticks protected so any damage or breakage is prevented and help keep the sticks from becoming dried out when they are not being used.